With over 50 million satisfied customers, OpenDNS is one of the most popular and secure online tools that can protect your system from online threats and enable you fast and reliable connection to the internet. Long lasting experience that came with working with all kinds of internet users (from ordinary home users, businesses, schools, all the way to fortune 500 companies), OpenDNS has been evolving and adapting to the rising needs of everyone who wants to be connected to the web. 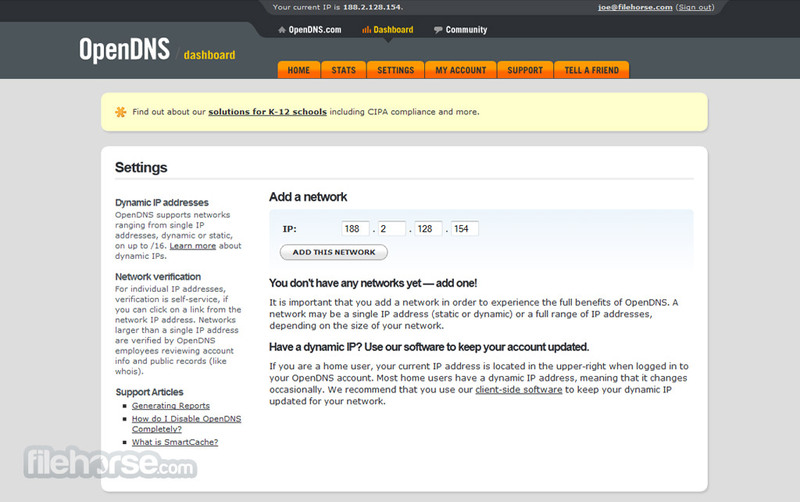 If you want to use OpenDNS, you don’t need to use any new software or browser plugging. After setup that can be performed in seconds, you will immediately be ready to start using this service on any internet enabled device you own, from PCs to portable devices and gaming consoles. You are only few clicks away from more secure and faster internet experience. 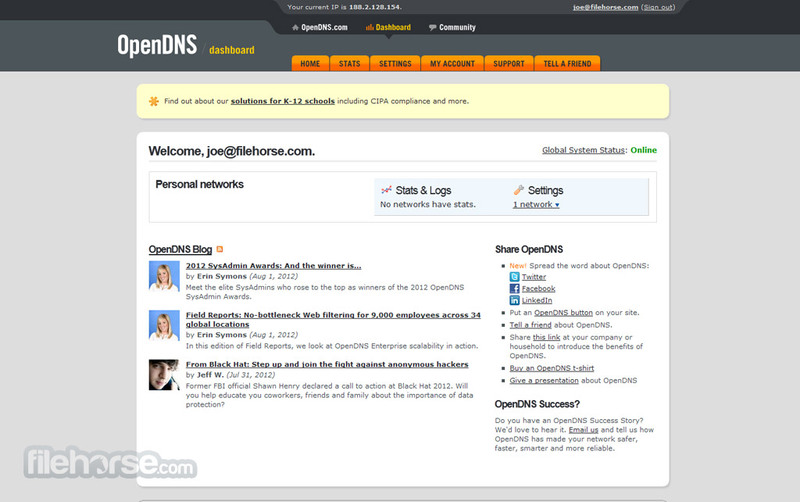 Try it out now and see for yourself the power of OpenDNS. More than 50 million people, nearly 2% of the world's Internet users, rely on OpenDNS. Choose OpenDNS Premium DNS for your network. OpenDNS’s 12 global data centers are strategically located at the most well-connected intersections of the Internet. With extensive data center footprint and use of Anycast technology, the OpenDNS network has built-in redundancy ensuring zero downtime. Choose the world's leading DNS service and free your network of frustrating, intermittent Internet outages and make your Internet noticeably faster. 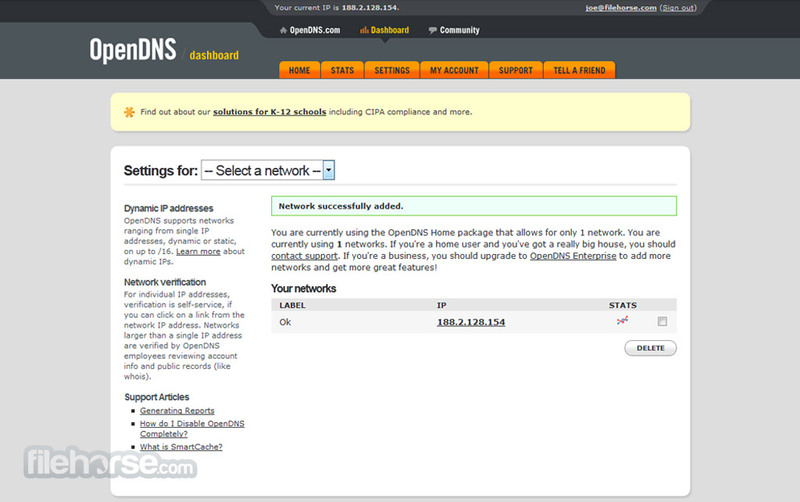 When you set up OpenDNS Basic on your router, your settings take effect across everything on your home network. In addition to computers, this includes your kids' Xbox, Playstation, Wii, DS, iPad, and even their iPhone. Over 30,000,000 homes, schools, and businesses of all sizes rely on OpenDNS for a better Internet.